Sweet potatoes are perfect to serve as a healthier alternative to traditional chips or wedges, plus they count as one of your 5-a-day! Not a fan of fries? 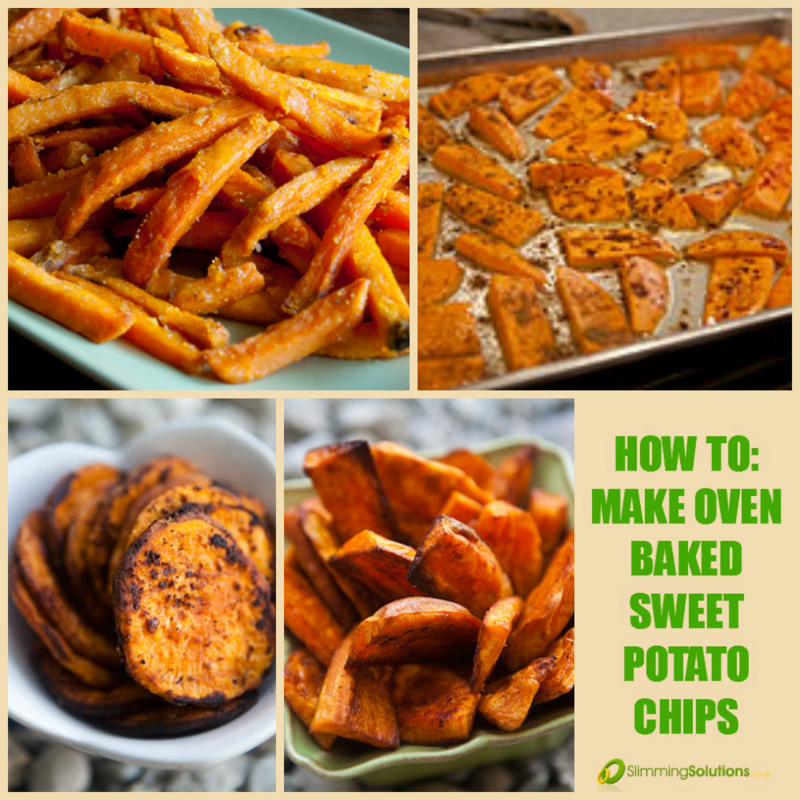 Sweet potatoes are super versatile and can be cooked in lots of different ways. They’re also great boiled or steamed, and are perfect for mashing. Add chunks to curries, stews, soups, casseroles, or pasta sauces. They can even be eaten raw, so try grating them and adding to a salad or mixing into coleslaw. 1. Preheat oven to 200°C ( fan 180°C). 2. You can either peel the sweet potatoes, or leave the skin on; just make sure you scrub them well. 3. 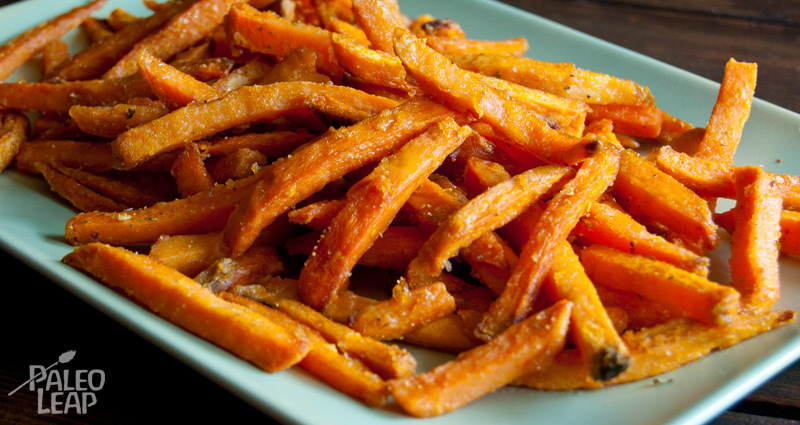 Cut off the ends, then slice into fries, wedges, or rounds. 4. Put the slices into a large bowl, add the oil plus seasoning and spices of your choice, and mix well. 5. Spread the sweet potatoes out in a single layer on a oven tray, shallow roasting tin, or wire rack; the oil should stop them from sticking. 6. Bake for 15 minutes, turn, and return to the oven for another 15 minutes, or until as browned as you like. 7. Leave to cool for a few minutes before serving. Please note: These baking times are approximate – actual time will depend on how thick your slices are. Try to cut evenly so they all cook evenly. Naturally low in fat – An 80g serving contains 0.2g fat. They’re also free from saturated fat. High in fibre – An 80g serving provides around 10% of the fibre adults need each day. 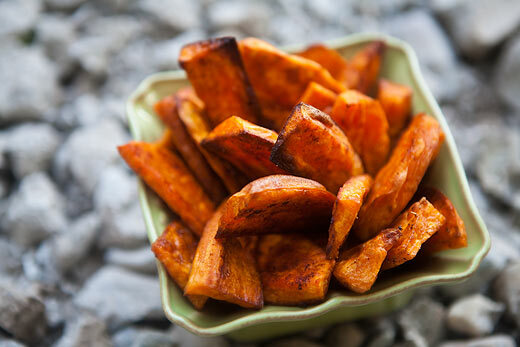 Packed with vitamin A – Sweet potatoes are loaded with beta-carotene, which the body converts into vitamin A. An 80g serving provides a massive 66% of our daily needs. Contain vitamin C – An 80g serving provides 17% of our daily needs for vitamin C.
Provide potassium – An 80g serving provides 12% of our daily needs for potassium. 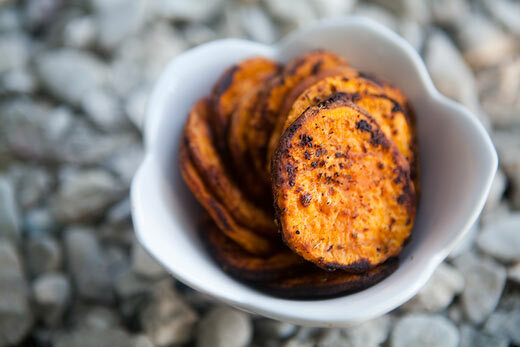 Sweet potatoes are a source of manganese – An 80g serving provides 16% of our daily needs for manganese.